This is Noon from Chaibadan Vocational School. She's been a TISCO Foundation scholarship student for 3 years. “I'm very happy to receive a scholarship from TISCO Foundation once again. 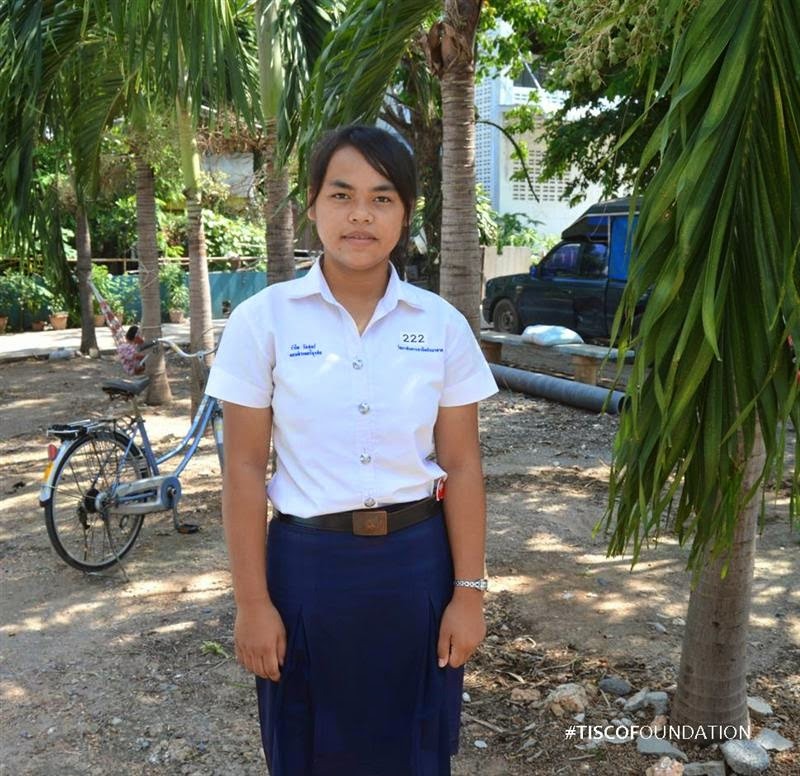 This gives me an opportunity to continue my study to a higher level.” Noon is determined to become a teacher as she believes it is a very important profession by teaching new generations to become smart and good. It's also a profession that serves the society and helps local community. It's her dream job.